Are you required to obtain a Miami COU? 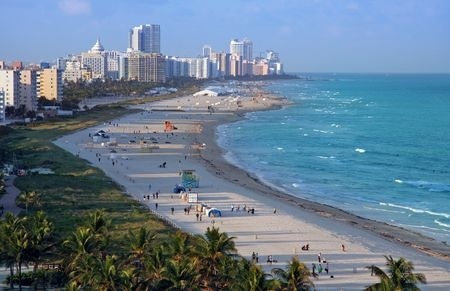 If you don't know, but you now own a foreclosed property in Miami-Dade County, you almost definitely need a Miami COU. So says Ordinance #08-133. A Miami COU is a Certificate of Use that entitles you to properly use your property, if it was purchased out of a foreclosure situation. COU is what we do. COU Of Miami has fulfilled more than 4,000 Miami COU requests - from initial inspection to final delivery - in the City of Miami and throughout Miami-Dade County, including Doral, Hialeah Gardens, Homestead, Medley, Miami Gardens, North Miami, North Miami Beach, Opa-locka, South Miami, West Miami and other areas, both incorporated and unincorporated. A Miami COU is no simple matter. Obtaining a Certificate Of Use mandates a convoluted process with multple steps that are required to be followed to the letter of the law. As a property owner, a Miami COU is not a requirement you can afford anyone to bungled on your behalf. We are the established experts to help you accomplish this necessary chore hassle-free. COU Of Miami employs an experienced staff of engineers, architects and draftsmen to take you through the entire process, including complete inspecting, expediting, reviewing, courthouse recording and final delivery of your Miami COU and the accompanying Disclosure of Findings report. Throughout every step, you can track the progress of your Miami COU with our proprietary on-line technology, making this necessary, arduous and exacting procedure simple, expeditious and convenient. The process of obtaining a Miami COU generally takes three to five business days (depending largely upon the timeframe of the review board), so now's the time to get started. Call COU Of Miami at 305-807-8771, and we'll get underway with your Miami COU request. We work for you, so you can get down to work.